Outdoor Trampoline: The Benefits And Why You Should Have One? Do you remember what games you used to play when you were a kid? Obviously they weren’t some ARPGs or a mobile game. I still remember riding a bicycle in my neighborhood with my friends or jumping on a outdoor trampoline placed in my backyard. To be honest, those outdoor games are gradually disappearing with the advent of electronic gadgets. In fact, I have two kids and both of them used to spend most of their day sitting in front of a TV set until I got them a best trampoline. It actually encouraged my kids for outdoor sport. Now, I am extremely happy watching them involved with vigorous physical activities. I can be rest assured that they will be fit. Well, it is applicable for us too. We too need good physical activity to be fit and healthy. Have a look at this. The fun part of the trampoline. An outdoor trampoline aren’t just fun but it can make you healthy too if you use it in a proper way. In this technology driven area, when kids and even teens have become obsessed with cool gadgets and spend their time inside the houses, it is our responsibility to bring them outside. Sitting for long hours at one place is leading to the most common problem of obesity among the children especially. Therefore, it is recommended to involve your growing kids into some kind of physical activity for at least one hour daily. 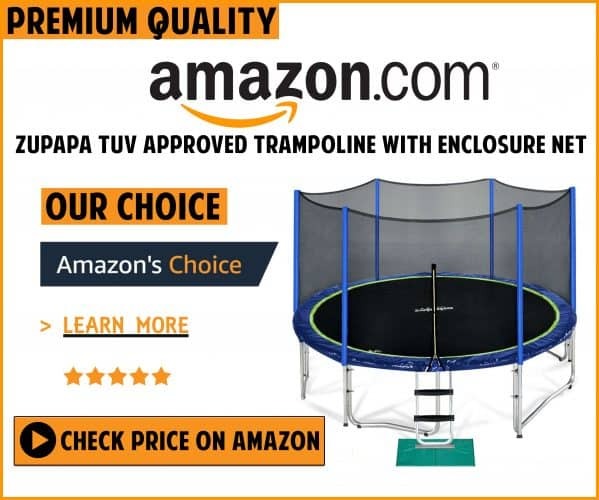 The high-end and safely built trampolines is the best option to attract your children. One thing that you must not overlook here is the importance of outdoor trampolines for grown-ups as well. Some of them also come with various innovative accessories like basketball hoop and boards to make this sport more entertaining. Trampolines have come a long way and have become a significant fitness equipment too. Thus, there are innumerable benefits of trampolines which have actually made them a must. Apart from keeping your kids active, trampoline is a great way for improving the athleticism. When you associate fun with the well-being of your kids, it will truly enhance their lifestyle for the best. Regular fitness activity is necessary for small children to boost their confidence and brain. That’s right, jumping on trampolines is actually effective in building brain. Bouncing is an aerobic workout that is very effective for cardio. Trampoline workout is a moderate to high level fitness regimen for improving your heart’s health. You can maintain a healthy heart rate while jumping on the trampoline regularly. Therefore, outdoor trampoline is highly beneficial for both you and your kids for a fit and healthy life. When the user performs a repetitive action of bouncing, it will improve the mineral content of your bones. Thus, it is extremely helpful in building the musculoskeletal system. The force of gravity is doubled every time with each landing after a jump. It will enhance the muscle strength in the long run while also preventing any potentiality of bone disorders. The free flowing lymphatic drainage is significantly stimulated by jumping on the trampoline. It eliminates all the toxins from your body that are trapped within it. All the cell waste, hidden bacteria and viruses are nicely drained out when you regularly jump on the trampolines. Trampolines have a wobbly surface and require a good sense of balance for appropriate jumping. A beginner may have a little difficulty while landing properly on the jumping surface. But continuous use will eventually improve the sense of balance. It will enhance the coordination of your kids to make great balance. Thus, outdoor trampolines will not only make your children physically active but it will also keep them healthy. 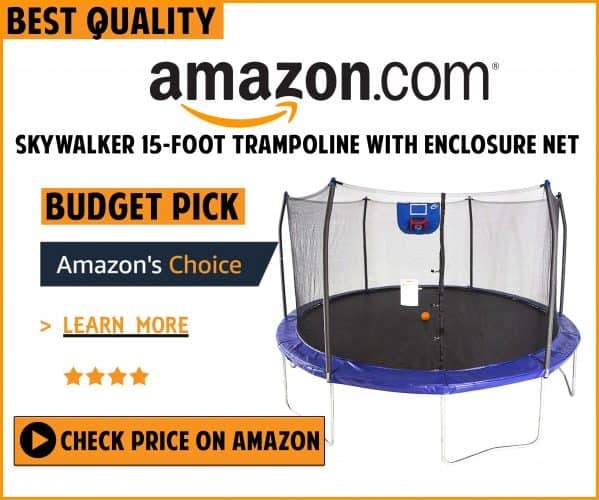 So, consider buying a trampoline if you don’t have one to encourage your kids for outdoor sports. Rebounder or Trampoline- What are the main differences?